Who’s got spirit? Out of Print Clothing does. Whether you’re battling back-to-school blahs or waxing nostalgic over the smell of freshly sharpened pencils, the literature-loving label’s “Composition Collection” will stand you in good stead. Designed to resemble ye olde classroom notebooks, each pouch and tote is proudly in the United States. Plus, with every purchase, Out of Print will send a book to a community in need. Who's got spirit? Out of Print Clothing does. Whether you're battling back-to-school blahs or waxing nostalgic over the smell of freshly sharpened pencils, the literature-loving label's "Composition Collection" will stand you in good stead. 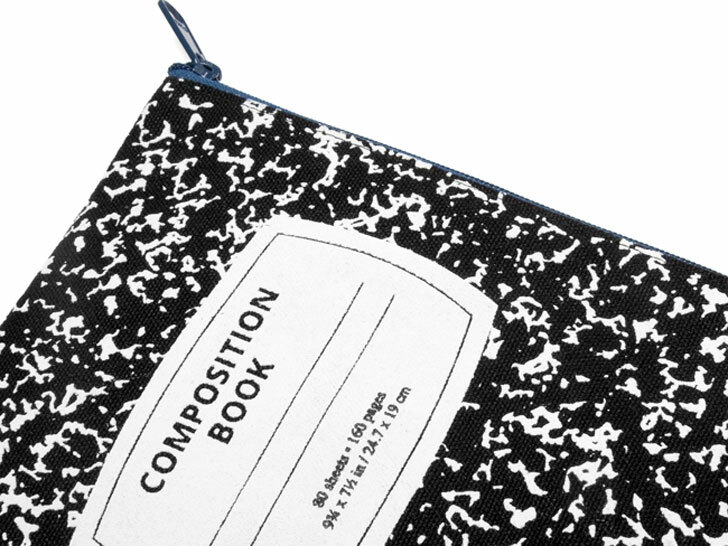 Designed to resemble ye olde classroom notebooks, each pouch and tote is proudly in the United States. Plus, with every purchase, Out of Print will send a book to a community in need.